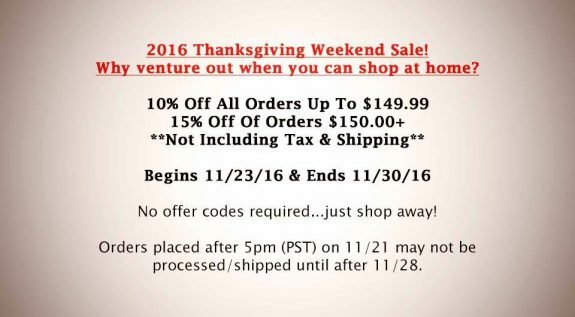 Mark your calendar for TangoDown’s Black Friday/Thanksgiving Weekend sale. 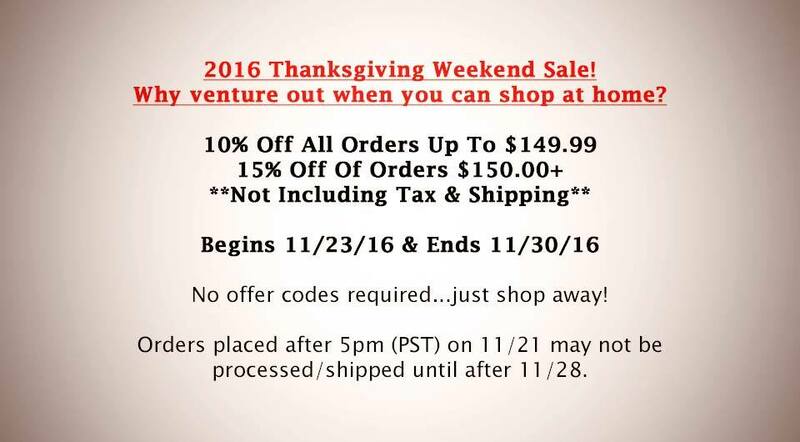 They are offering 10% off all orders up to $149.99 and 15% off if you spend $150 or more. There are no coupon codes required. 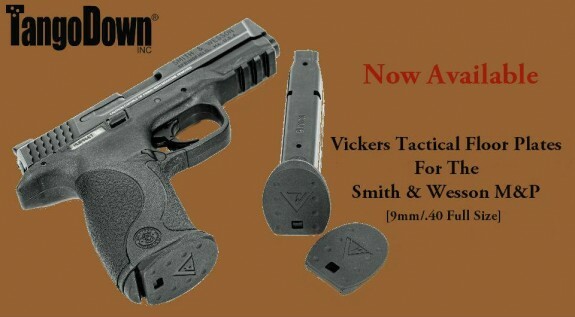 This would be a great time to pick up some Vickers Tactical items for your Glock or some ARC Magazines! 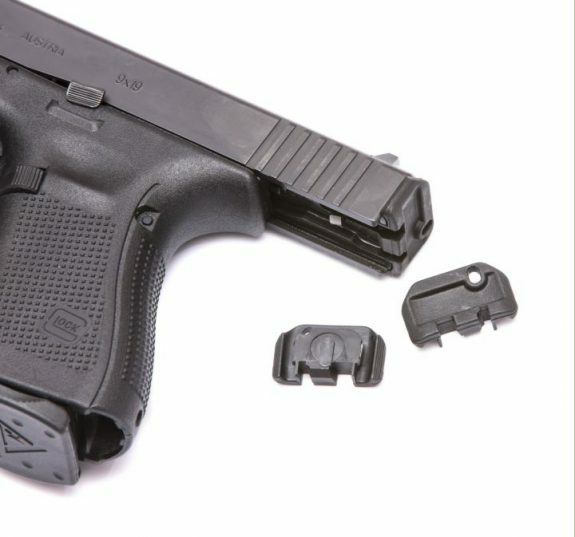 TangoDown’s FFA-01 Front Sight Flashlight Adapter, released in 2012, was one of the first attempts at integrating a front sight and 12 o’clock mounted weapon light. 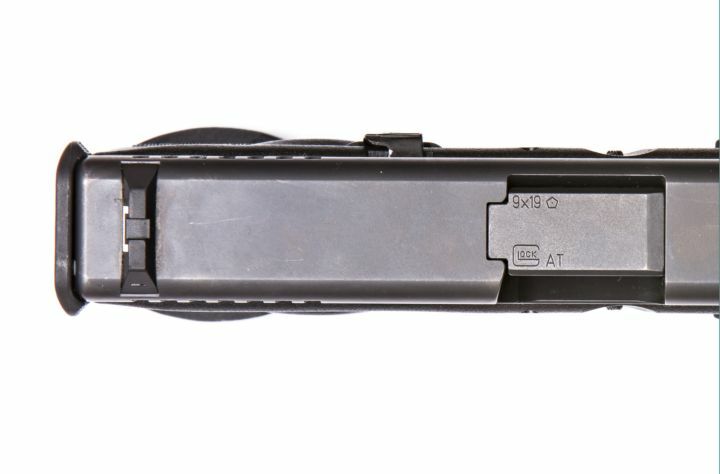 The FFA-01 was essentially a specially designed front sight tower that could mount to an extended rail and encompass the bezel of the Surefire X300. It worked well and represented an evolutionary step forward for 12 o’clock mounted weapon lights. TangoDown is reviving the idea, albeit in a slimmed down format, with the introduction of the Light Portal Front Sight (FFA-02) for the Surefire XC-1. The original FFA-01 was made from steel but the new FFA-02 is machined from aluminum (hard anodized finish). The combination of aluminum construction and the svelte XC-1 should make for a compact, lightweight set up. 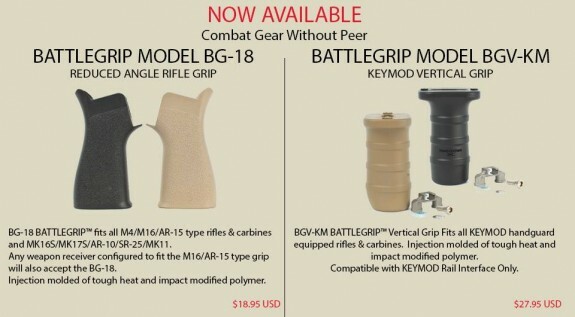 TangoDown is excited to announce a new item for the tactical community! 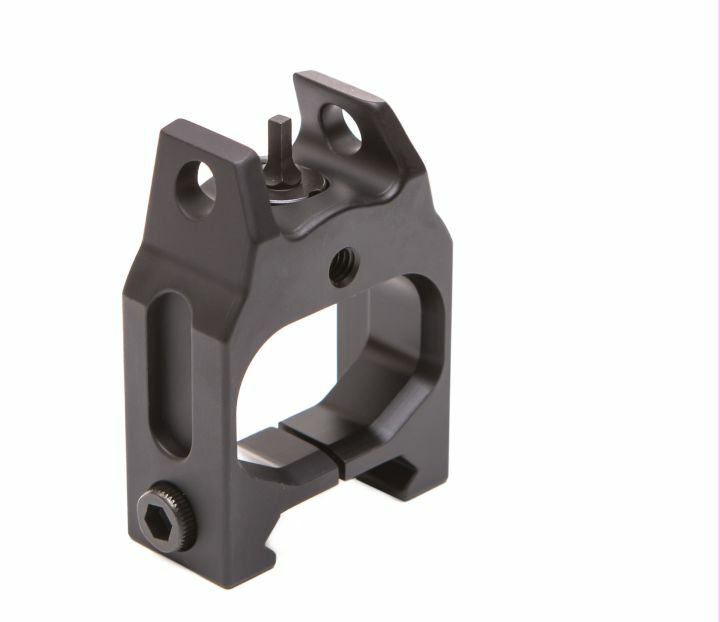 The Light Portal Front Sight (FFA-02) is a combination weapon light mount & front sight all in one compact package. 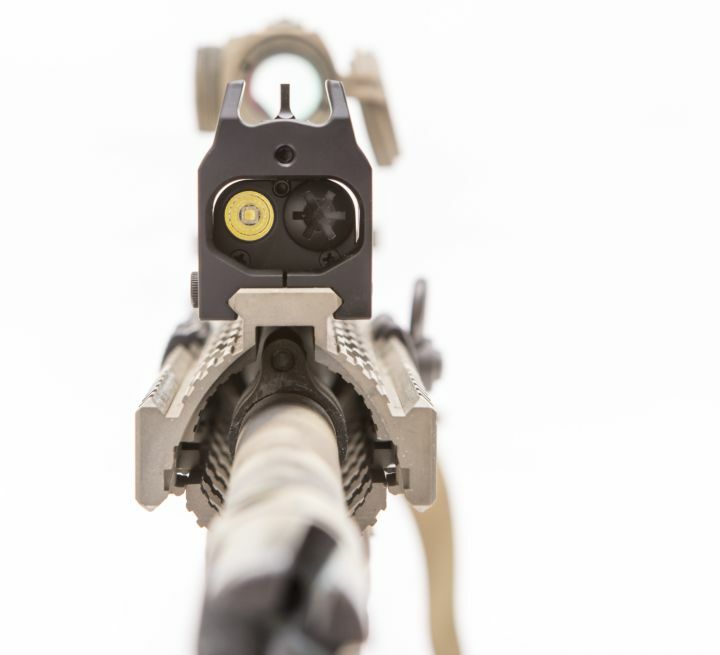 The FFA-02 was developed to give shooters the ability to place a weapon light on the 12:00 rail without obstructing the front sight. 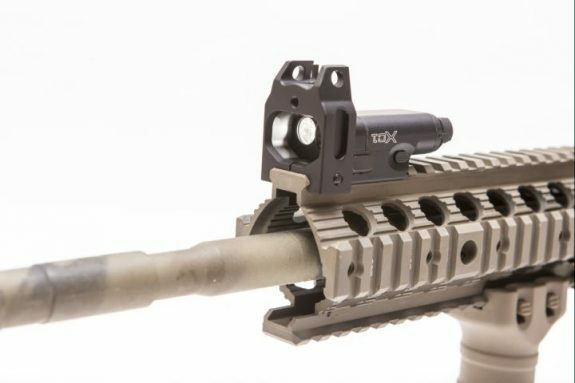 This weapon light mount accommodates the SureFire™ XC-1 Pistol Light, creating a lightweight option if you’re looking to reduce the weight on your carbine. 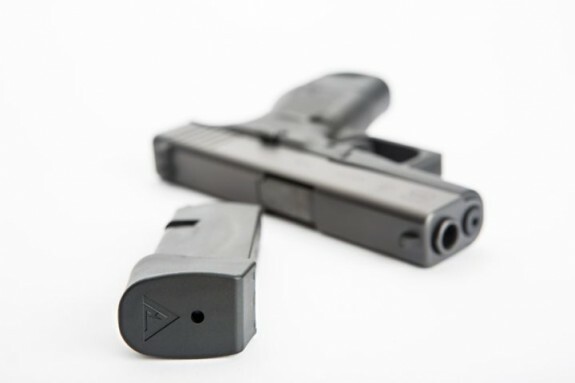 Maintaining a hand forward shooting position makes activating the XC-1 weapon light easy and quick. Please visit https://tangodown.com/shop/tangodowntm-light-portal-front-sight-ffa-02/ for more information on the FFA-02. iOCover is currently developing a cover for the Trijicon MRO! You can find out more at the iOCover Facebook page or at TangoDown (who makes and distributes iOCovers). 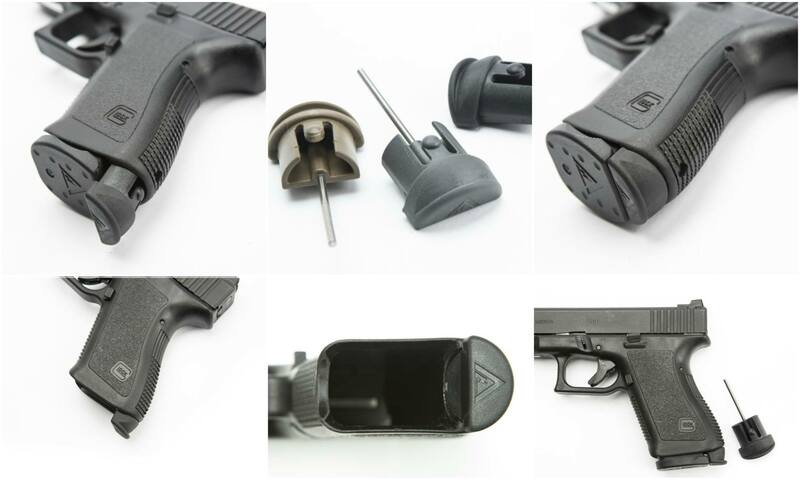 The Vickers Tactical Grip Plug/ Takedown Tool for Glock is the latest Larry Vickers designed Glock accessory from Tango Down. 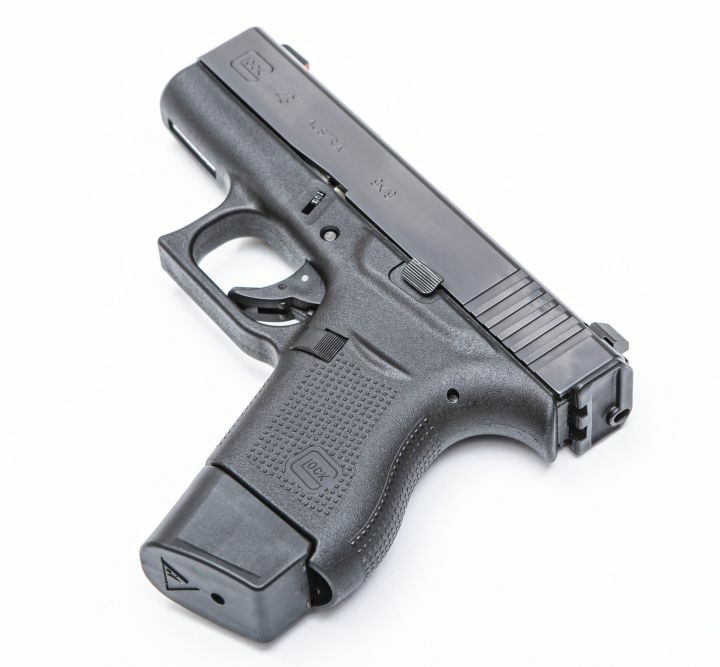 It fits Generation 3 Glocks and provides the essential functions of a grip plug with the bonus of an integrated, stainless-steel pin pusher. It is available in Black, Glock Tan, and Gray. Check it out at Tango Down. We told you about the BG-18 Reduced Angle Rifle Grip and the BGV-KM KeyMod Vertical Grip earlier this year. Those items are now available to order from TangoDown. They will begin shipping on Monday and dealers should have them soon. 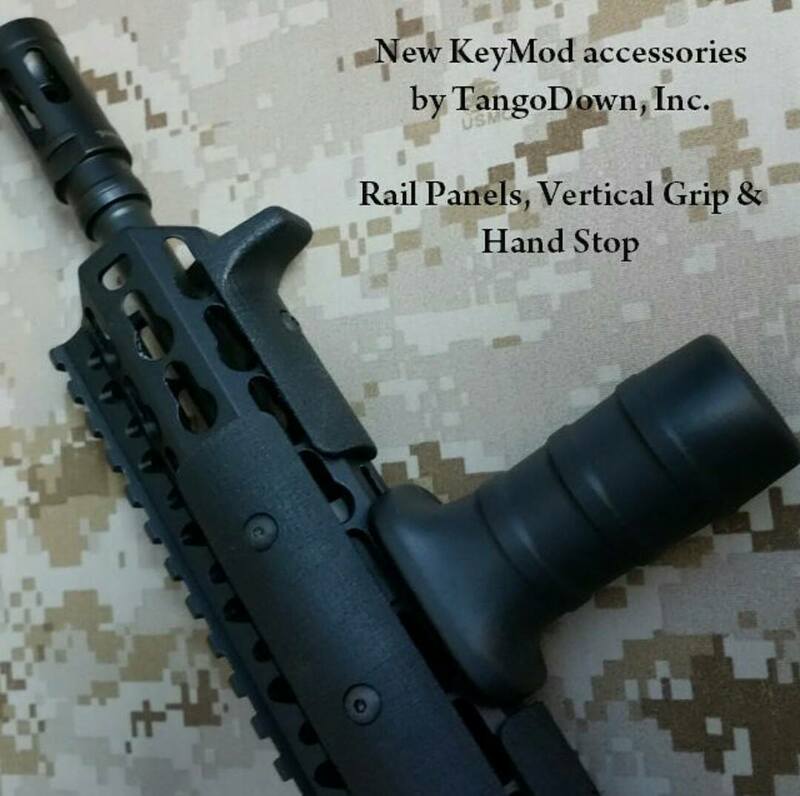 We covered the TangoDown KeyMod Stubby Vertical Grip back when it was still an early prototype. 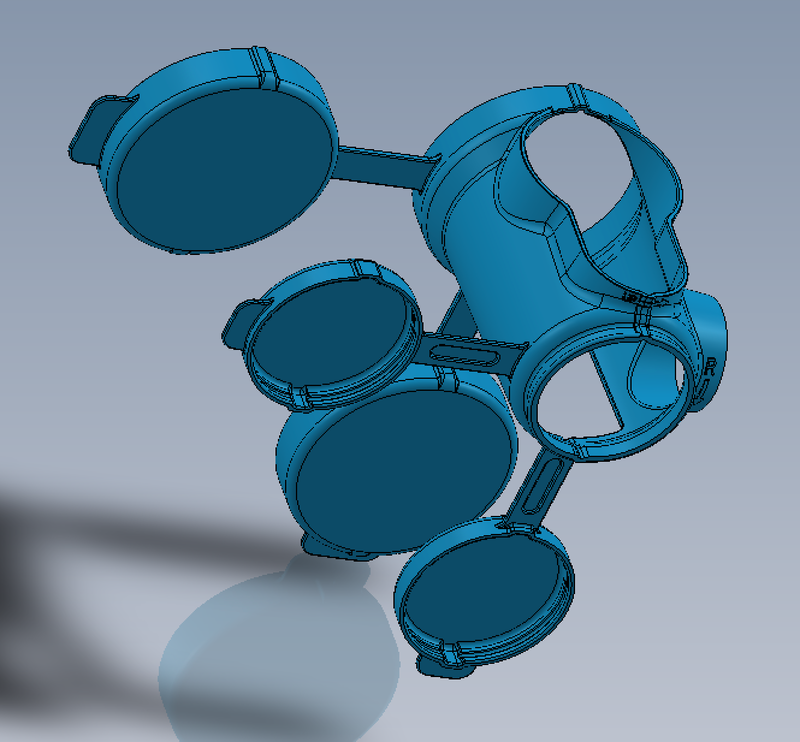 I am happy to report that it is extremely close to entering production now along with KeyMod rail covers and a hand stop. The new hand stop and rail covers have two things that should really set them apart. The first is that they use metal KeyMod hardware to mount. This is heavier than many of the all plastic rail covers but has proven to be stay in place better in my experience. The second is that these items will feature a similar texture to what Tango Down uses on their SCAR panels. This texture is very grippy without being too abrasive. It looks like TangoDown is getting into KeyMod in a big way.